Do you feel a nervy sensation in your lower back, down your leg or even right down to your foot when you bend over? Is it a throbbing or burning feeling? If so read on. WHY AM I SUFFERING FROM SCIATICA? Sciatica can occur due to a wide range of reasons. 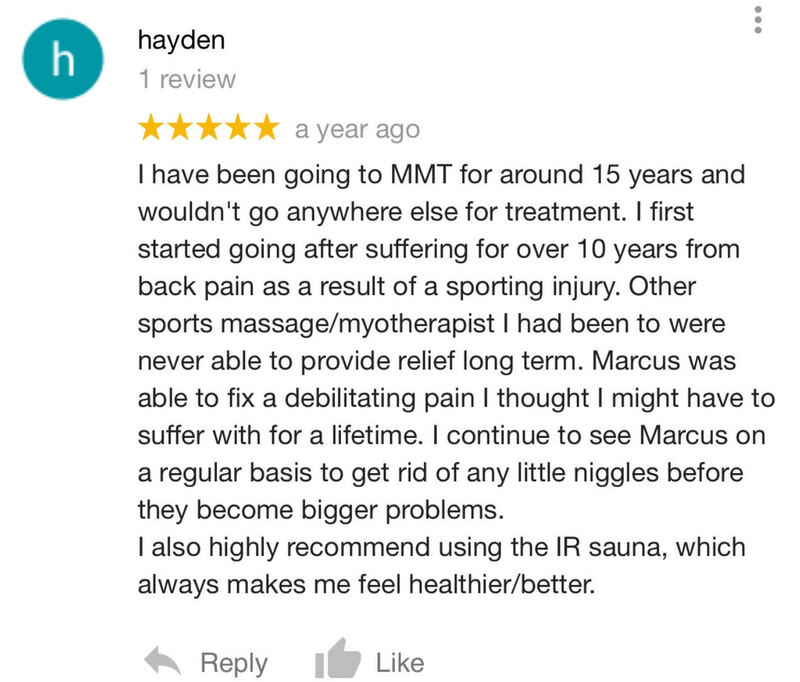 Muscular tightness, piriformis syndrome, nerve impingement (disc bulge/facet joint irritation/spinal compression), poor biomechanics, stress, prolonged sitting, and/or lack of movement. When lower back or glute muscles are tight and dysfunctional, this can place added pressure on the sciatic nerve giving the sensation of tingling, numbing, burning around the lower back glutes, legs, and the feet. If this sounds similar to what you’ve been experiencing come down for a session with one of our therapists. With our specialised deep tissue massage we’ll relieve tension by loosening the muscles and preventing pinching and irritation. Massage also helps to reduce pain by releasing endorphins. 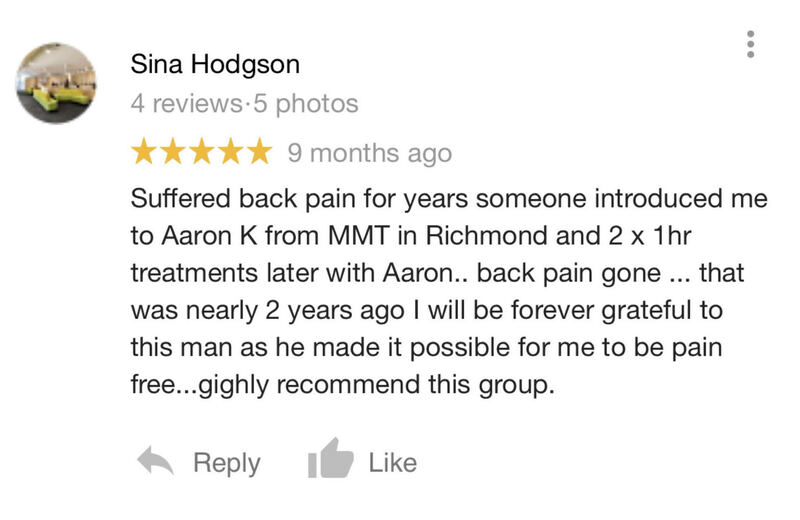 Our specialized treatment method can unblock stagnant and stuck tissues and free up any tension around the lower back area, to allow more flexibility and freedom for nerves and other structures. This prevents the nerves from being squeezed and compressed, which results in the nervy, throbbing or burning sensation in your lower back and legs. Once relieved from pain and more mobile, we will begin strengthening your body, improving you posture, and enhancing your biomechanics to ensure the chances of your sciatica returning at decreased. Why do I keep getting sciatica? There could be a number of reasons why your Sciatica keeps re-occurring. The more serious reasons being related directly to your spine. Disc pathology, facet joint irritation, and general spinal compression can cause impingement of a nerve root within the spine. This impingement will cause a referral sensation (burning, tingling, ache) to be felt somewhere in the hip, leg, ankle of foot. More commonly, Sciatica is caused by pelvic asymmetry, tight muscles within the glute/hip, and general neurological under/over activity within certain muscles. 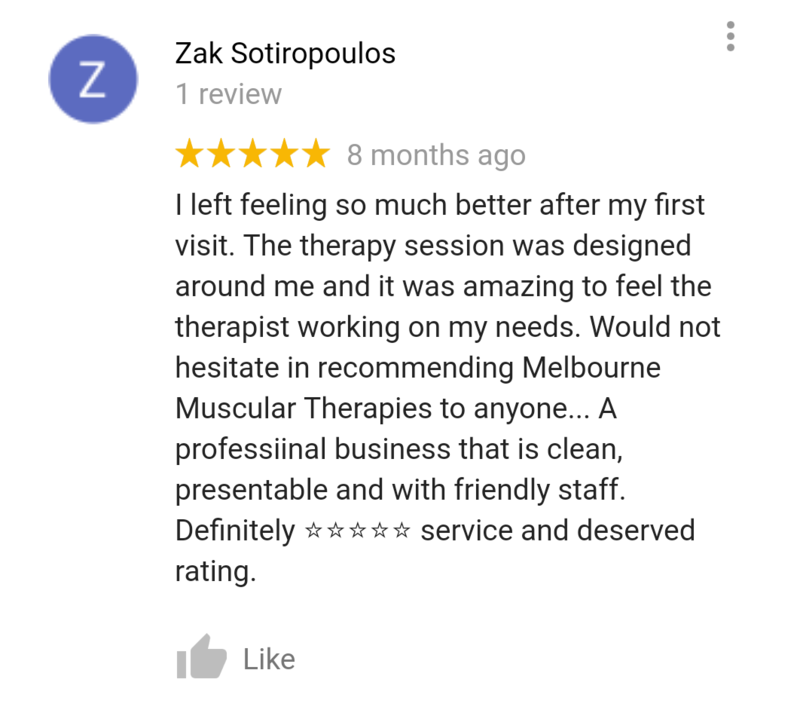 Regardless of what is causing your Sciatica, the process at Melbourne Muscular Therapies is the same. Deep Tissue Massage to release tight muscles and compressed nerves, followed by Barefoot Functional Strength/Postural Training will ensure your pain is relieved and ultimately eliminated. How do I get my sciatica to stop hurting? The best way to relieve symptoms of Sciatica is self-massage/treatment to muscles in the Glute/Hip. Releasing the Piriformis, Glute Medius/Minimus and TFL can be very effective. Quite often, this is the cause behind your Sciatica. Piriformis and Glute stretches can also relieve symptoms. If your symptoms persist, we highly recommend seeing one of our practitioners for some Deep Tissue Massage Treatment and Barefoot Functional Strength Training.